Sleeping is one of the most natural things in the world, and a necessary part of everyday life. But it can also be very difficult at times. Various things can stand in the way of getting a good night of sleep. Stress, anxiety, autism, ADHD, restless leg syndrome (RLS), chronic pain and a variety of other factors can keep a person from falling asleep and staying asleep. Weighted blankets have recently become popular as a solution for insomnia. 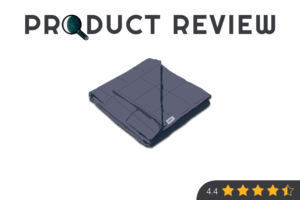 Here we’ll review the Sonno Zona Weighted Blanket to see if it might be a good solution for your sleeping needs. Soft Fabric Cover Included. 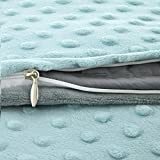 Many weighted blankets do not come with a duvet cover which requires you to make a separate purchase. This one comes with the soft, minky dots cover that has ties to keep it in place, and a zippered closure. The soft cover is particularly useful for those with sensory issues and an extra need for comfort. American Company. While many of the companies that make weighted blankets are located in various places in the world, this one is easily accessible because of its location in the United States. Limited Size and Weight Options. At this point the range of blanket sizes and weights from Sonno Zona are limited. Hopefully the company will expand its options for size and weight in the future, but for now there is only one size option for each weight. 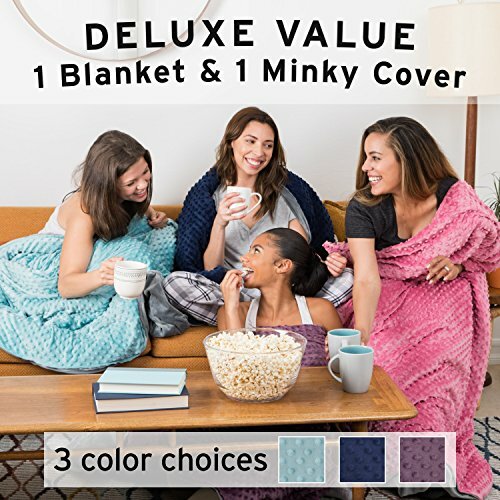 That means, for instance, if you want a smaller blanket that is heavier, that’s not an option for you from this company. Possible Missing Loops. 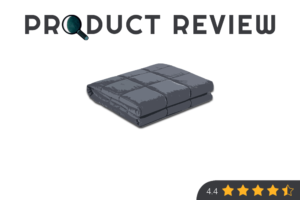 A couple of reviews for this product note that some of the loops on the blanket are missing, making it impossible to adequately secure it to the cover, causing it to get bunched. It is assumed that this is simply an error and the company would be willing to correct this mistake. The Sonno Zona Company is a small business located in Irvine, California. They state that they operate with high integrity and aim to provide the best product and service possible. Otherwise, not much other information is available about the company. Learning what other users have to say about a product is like having a bunch of recommendations from trusted friends! Here we’ve gathered some important reviews from all around to help you make the most informed purchasing decision. 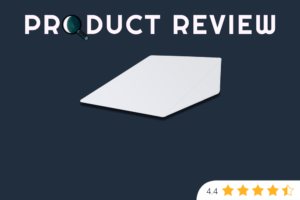 One Amazon reviewer is very happy with her weighted blanket as it helps her to sleep soundly. She was concerned about it making her extra hot or stuffy, but this has not been a problem for her at all. 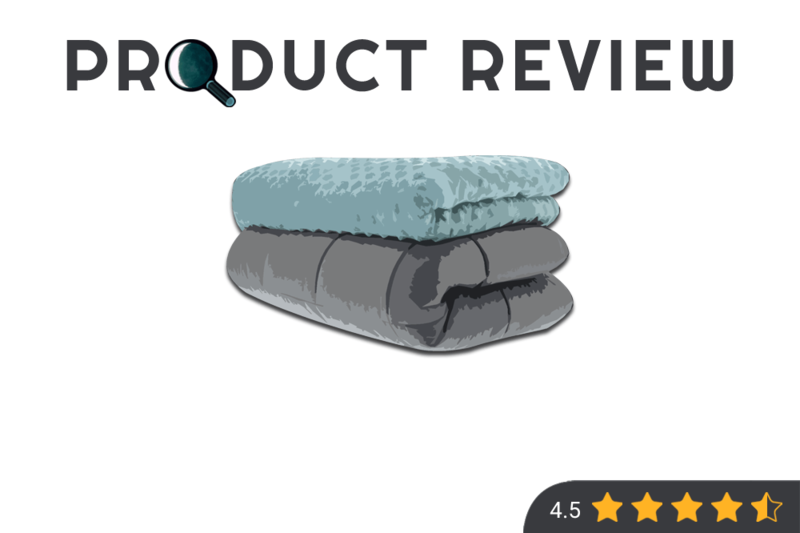 This reviewer mentions that the blanket is very soft, easy to clean, and she is very happy with her purchase, giving it 5 stars. Another verified Amazon purchaser says that she is normally a very anxious person and has difficult getting to sleep. Although she has tried stacking several blankets to get the weight, it doesn’t work and only succeeds in making her very hot or slipping of. This product has changed her quality of sleep for the better. She particularly likes to sleep with the minky dot side against her skin. She does note that the ties are made of cotton twill tape and should be secured carefully on the ends so that they don’t unravel during washing. One other verified purchaser notes that he loves this blanket and the fact that it comes with the separate duvet cover. Her favorite part is the fact that the weights are made of glass beads which means it doesn’t hold the heat, making it more comfortable for sleeping. 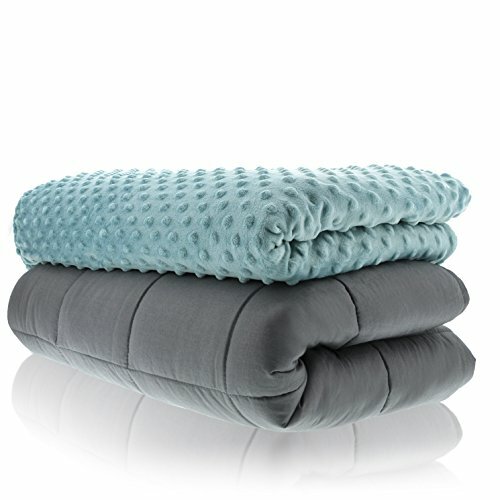 The Sonno Zona Weighted Blanket is a recommended product by most of its users. It comes in a bit on the pricier side, but with the addition of the cover that comes with it, the cost is reasonable. Some people prefer a 100% cotton cover, which means this blanket probably wouldn’t be for you. 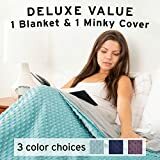 But if you’re looking for something snuggly, you don’t mind the synthetic fabric, and you can find the right size, then this weighted blanket could certainly meet your needs!